Author Sherry Gammon : Bloggers wanted!! Little Read Riding Hood and Creative Deeds Reads are hosting a month-long event, Indie-Credible Authors Tour. If you're a blogger and want to host one of the 102(!) 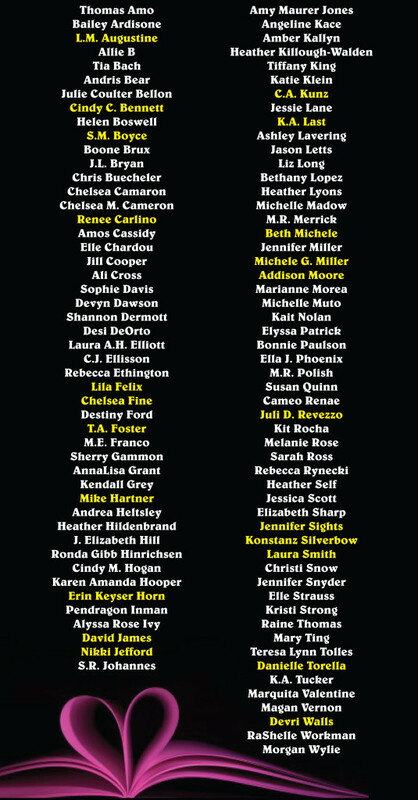 authors they currently have signed up, click here for the sign-up form (I included their list of participating authors below, yellow highlight just means author was added after the original deadline). You can then decide whether you want to review your choice of one of the author's books, interview the author, do a giveaway, or almost anything else you want to do. Should be a really fun event! Jamie Canosa's new novel Sink or Swim! And PS: Take charge of your life!